Discovery's second Freeview channel is to launch on 15th March, providing an outlet for the broadcaster's female-skewed programming. Quest Red will offer free-to-air content from Discovery's channels including TLC. According to Discovery, Quest Red will be the home of ‘irresistibly real TV’ with programmes genres spanning big personalities, extraordinary worlds, gritty reality, thought-provoking medical, investigative documentaries and real crime, and will go head-to-head on Freeview with the likes of Your TV, CBS Reality and True Crime. Discovery's original Freeview channel Quest will continue with a range of factual and sports programming for predominately male audiences. Plans for Quest Red were drawn up by Discovery during protracted carriage discussions with Sky, which broke down after twelve months of talks only for an agreement to be signed within hours of the channels being removed from the satellite TV service. To be available on Freeview, YouView (BT TV, TalkTalk TV, Plusnet TV), Sky and Virgin Media, the new channel will include programmes such as Jo Frost: Nanny on Tour following the supernanny on a mission to save some of America’s troubled families one at a time, Long Lost Family US reuniting people who have suffered a lifetime of separation, Martin Kemp’s Detective about some of the UK’s most puzzling murders, Vogue Williams Investigates where the Irish TV presenter and DJ explores modern day issues including online trolling and Paranormal Lockdown with Nick Groff who spends 72 hours confined in America’s most haunted locations. 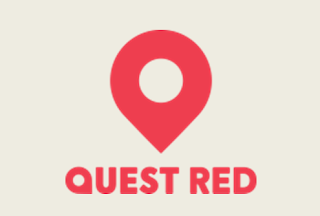 “Quest Red has got real life covered. Bright, welcoming and straight talking, Quest Red is ‘the home of irresistibly real TV’ and brings something entirely new to free-to-air television for a female skewing audience. With a vibrant fusion of fascinating stories, captivating lifestyles and compelling crime, we’re really excited to launch a new real life entertainment channel tailor-made for audiences who love great TV."